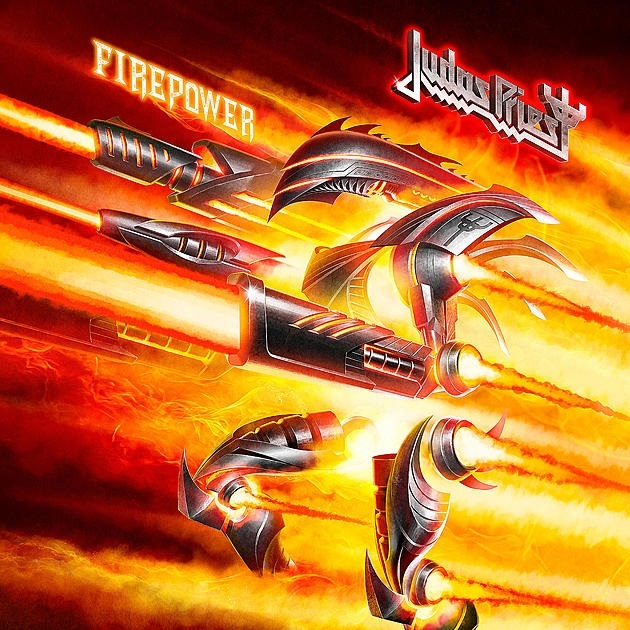 Three short video clips in which members of JUDAS PRIEST discuss the lyrics for their new album, "Firepower", and the disc's cover artwork can be seen below. "Firepower" will be released on March 9 via Epic. 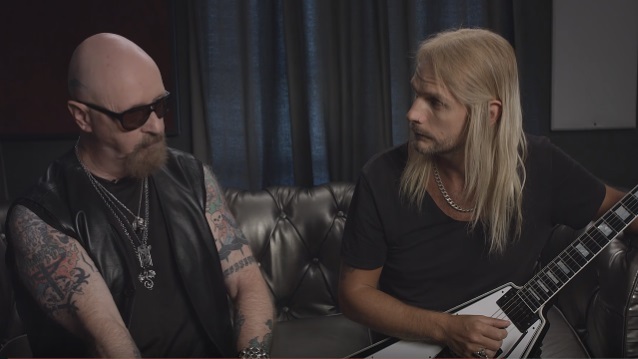 The follow-up to 2014's "Redeemer Of Souls" was recorded by British producer Andy Sneap, the band's longtime collaborator Tom Allom and engineer Mike Exeter (BLACK SABBATH). The cover artwork for "Firepower" was created by the Chilean/Italian digital artist and photographer Claudio Bergamin. JUDAS PRIEST singer Rob Halford told U.K.'s Metal Hammer magazine about the lyrical themes covered on "Firepower": "We're an open book. We can go anywhere, and that's my job, where the proverbial word 'challenge' comes into play. I'm looking for things around me in the real world and in the metal fantasy world, so I'm making political comment and comments on the environment, as metaphorically as I can. "We've always tried to be a bit ambigious, so our fans can make up their own mind, but on this one, you know, we are talking about Mother Earth and places like 10 Downing Street [the headquarters of the government of the United Kingdom]," he continued. "But we've always found a balance in not making the message too intense, while showing that we're connected as a bunch of metalheads in the real world." Halford also credited "the incredible work" of Sneap for making "Firepower" sound "as wonderful as it does." "We are aware of the elements that are important to PRIEST, that have been our anvil in everything we've done, but in working with Andy, who is such a sought-after, contemporary metal producer, he's been able to dial everything in and get an effect where what you hear coming out of the speaker sounds like a young, fresh metal band," he said. "I've always tried to keep up with what's going on in metal, and I really feel confident that this sound is as strong as it ever was." As for the album's first single, "Lightning Strike", Halford"Firepower" tour will kick off on March 13 in Wilkes Barre, Pennsylvania and will wrap on May 1 in San Antonio, Texas. Support on the trek will come from SAXON and BLACK STAR RIDERS.